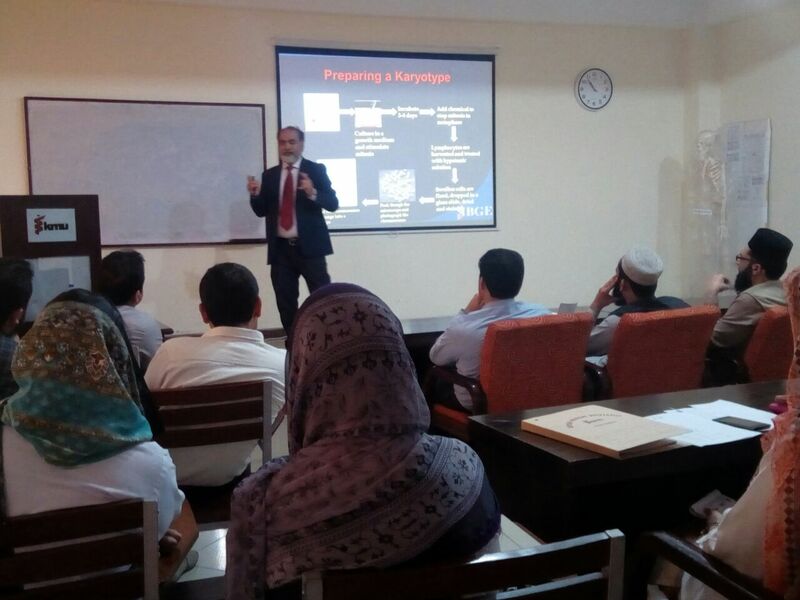 Department of MBG organized a seminar on “Cytogenetic and Its Practical Application” at IBMS, KMU on 22nd march 2018. 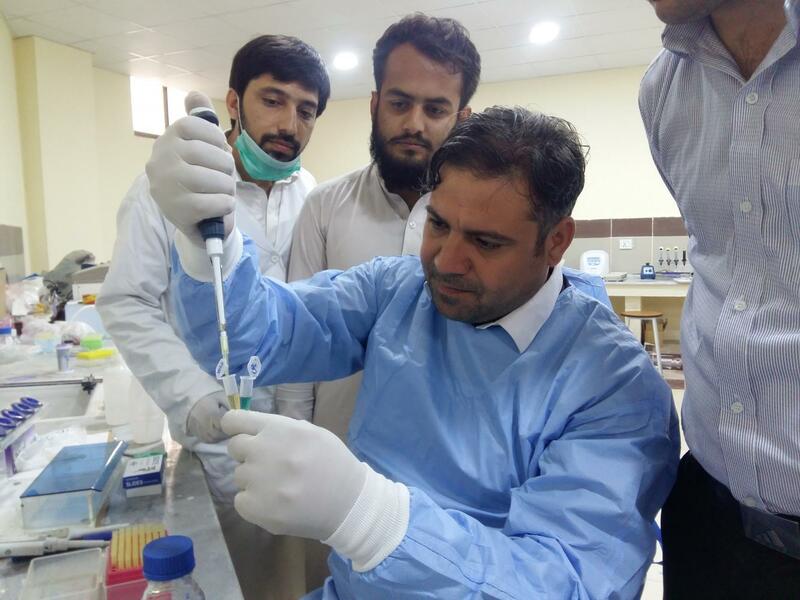 The speaker was Dr. Muhammad Ismail who is serving as the director of Institute of Biomedical and Genetic Engineering (IBGE, KRL) Islamabad. 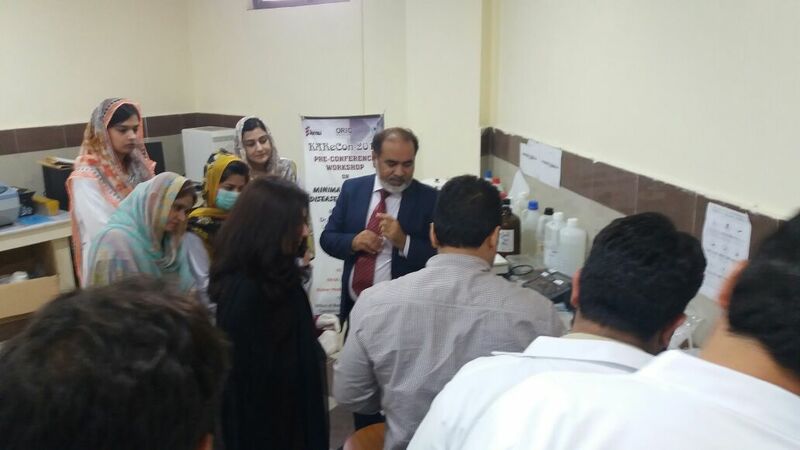 Dr. Ismail shared his experience with traditional cytogenetic approach as well as shed some light on the recent advances in cytogenetic. 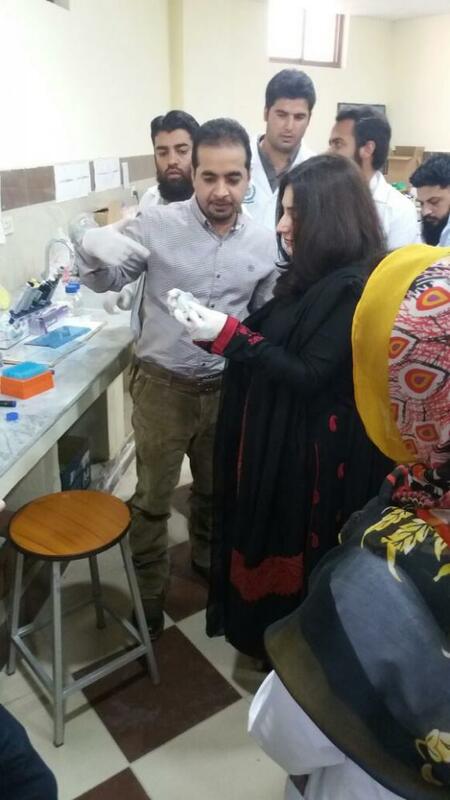 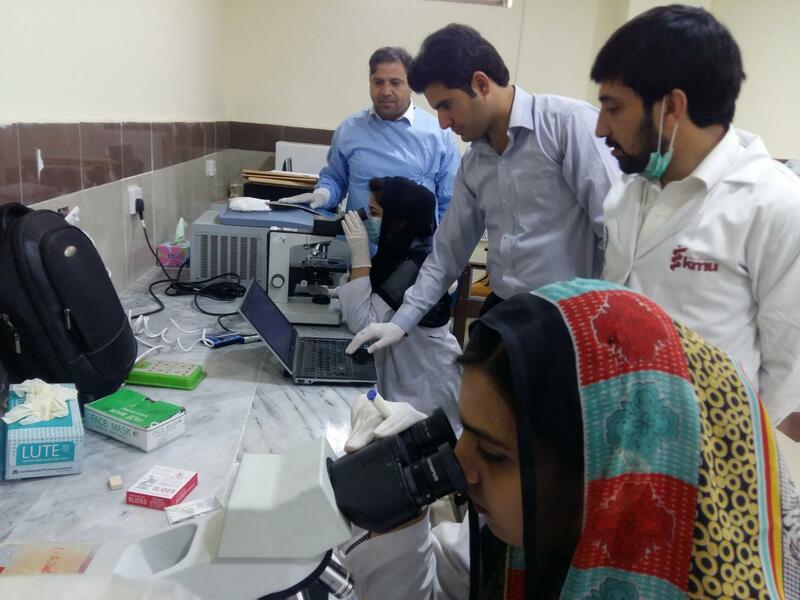 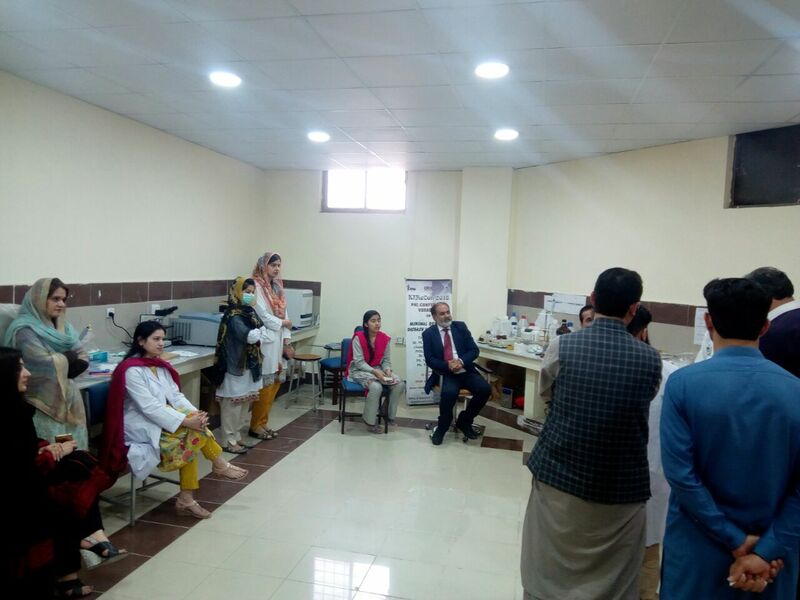 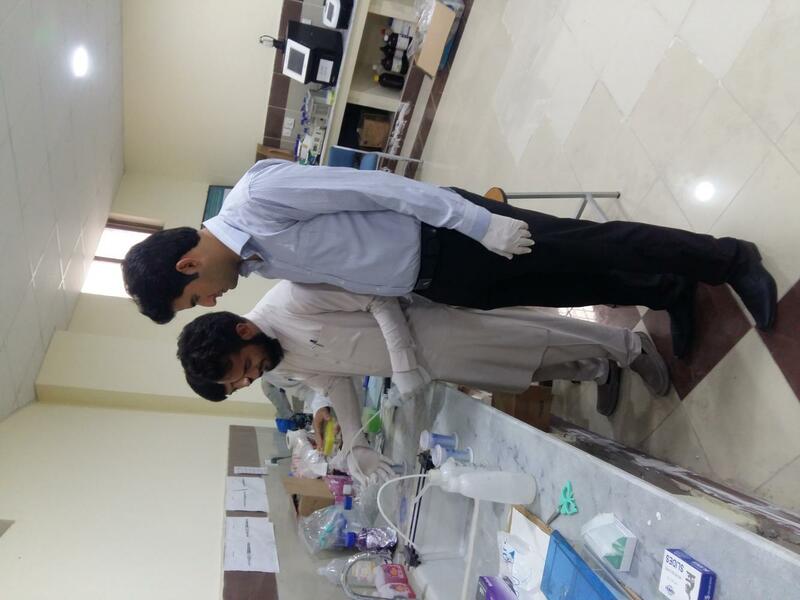 The seminar was followed by workshop on “Karyotyping: A Traditional Approach” for the students of Molecular Biology and Genetics department as well as laboratory staff of IBMS, were trained to perform karyotyping. 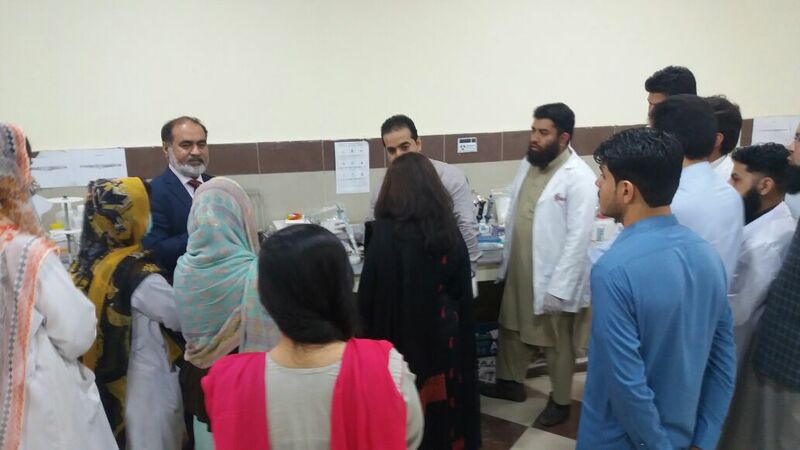 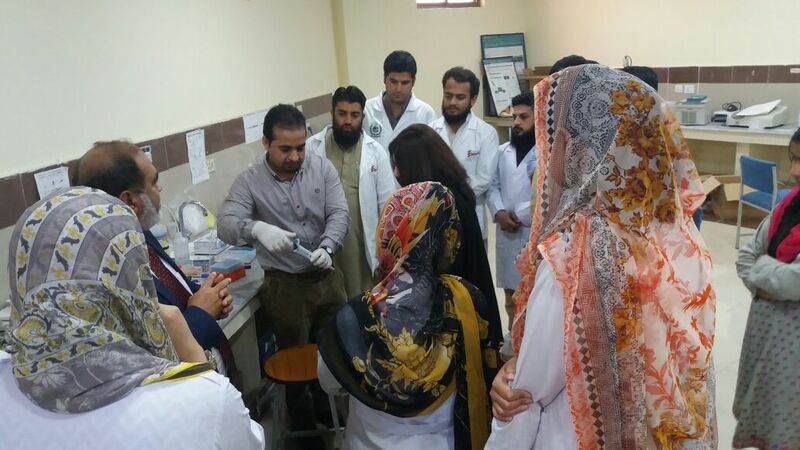 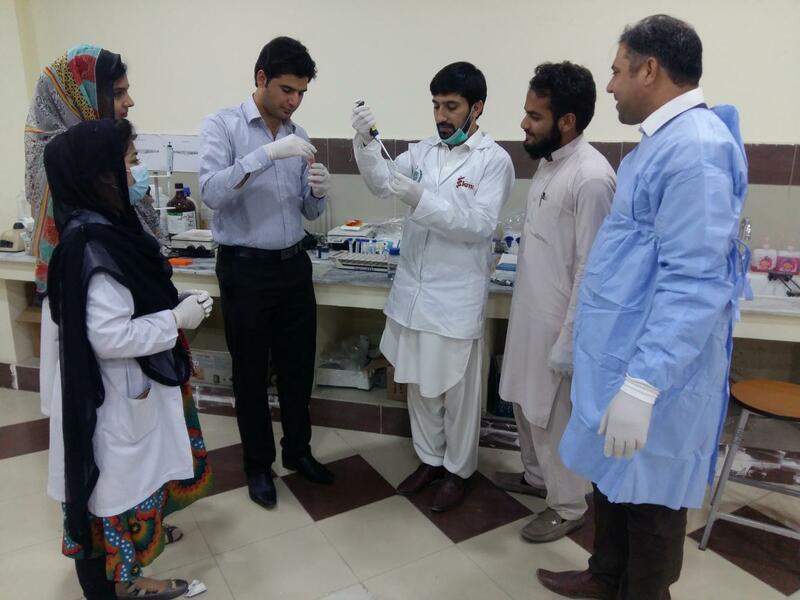 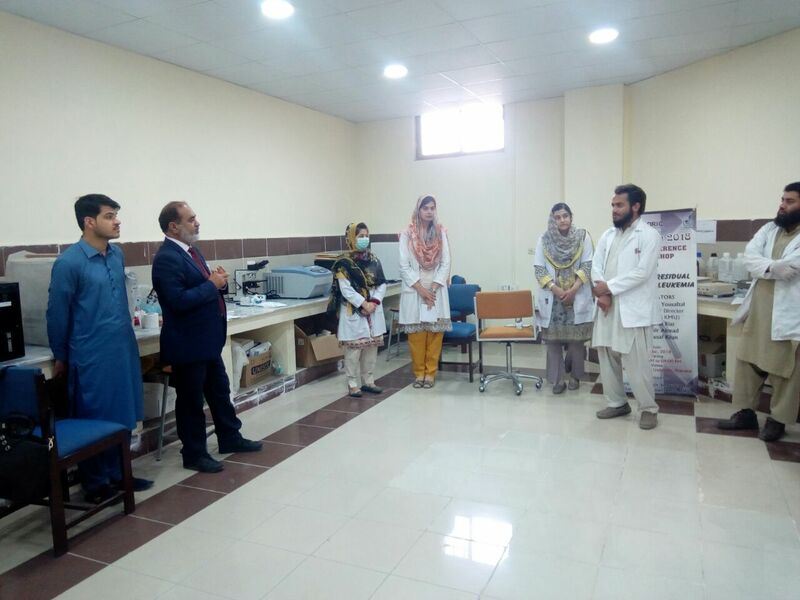 Mr. Qaiser Mansoor, senior scientific officer (IBGE) and Dr. Hafsah Muhammad (assistant professor, IBMS, KMU) were co-facilitators of workshop. 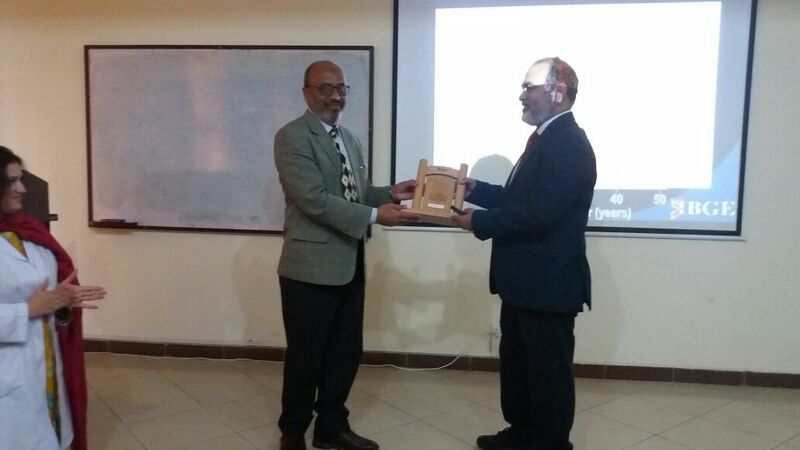 Seminar was concluded by presenting souvenir to the speaker as a token of appreciation and certificates were awarded to the participants and organizers of the workshop.